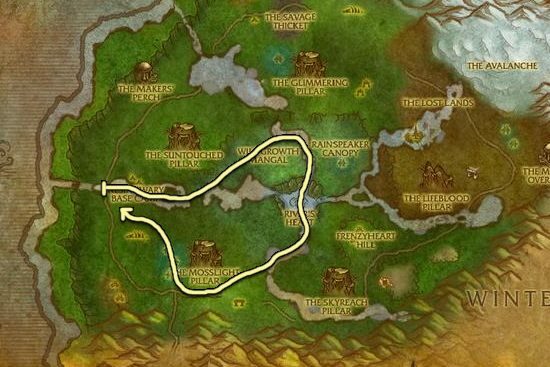 I made this Tiger Lily farming guide to help out players who want to farm the herbs instead of buying them from the Auction House. Tiger Lily grows next to lakes, ponds, and other bodies of water in Northrend. Grizzly Hills is the best place to farm Tiger Lily. 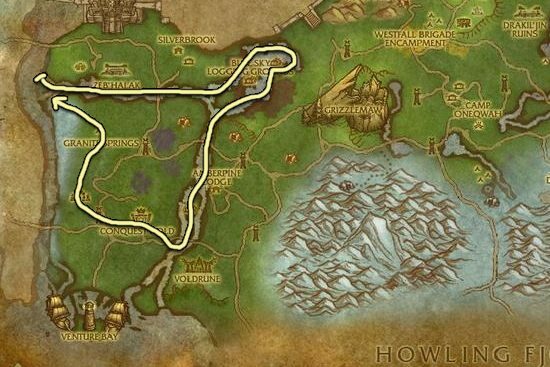 The route is easy to follow and the herbs will start respawning by the time you do a full lap. 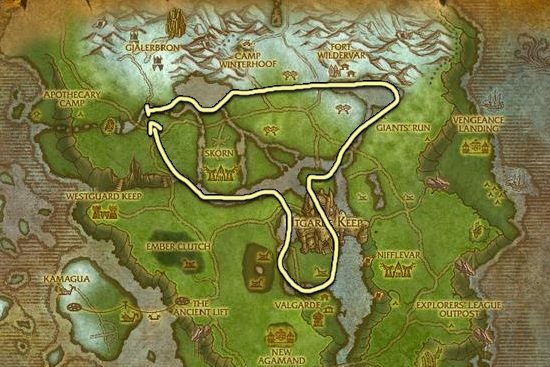 Sholazar Basin is also a great place to farm. You might want to choose this zone if you need some Adder's Tongue because you can pick a few while you travel between the rivers and lakes. Howling Fjord is not much worse from the previous zones, you have to travel a tiny bit more between the lakes.